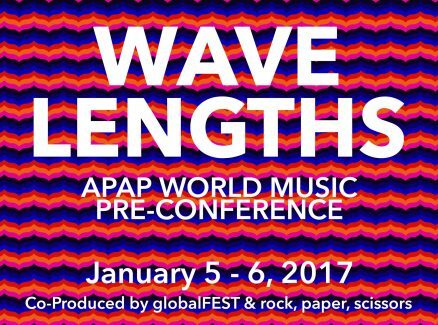 Wavelengths: APAP World Music Pre-Conference is the largest gathering of world music professionals in North America. Co-produced by globalFEST and rock paper scissors, inc., this two-day world music forum is held at the Hilton Hotel and is part of the Association for Performing Arts Presenters (APAP) conference in New York. Free and open to the public.